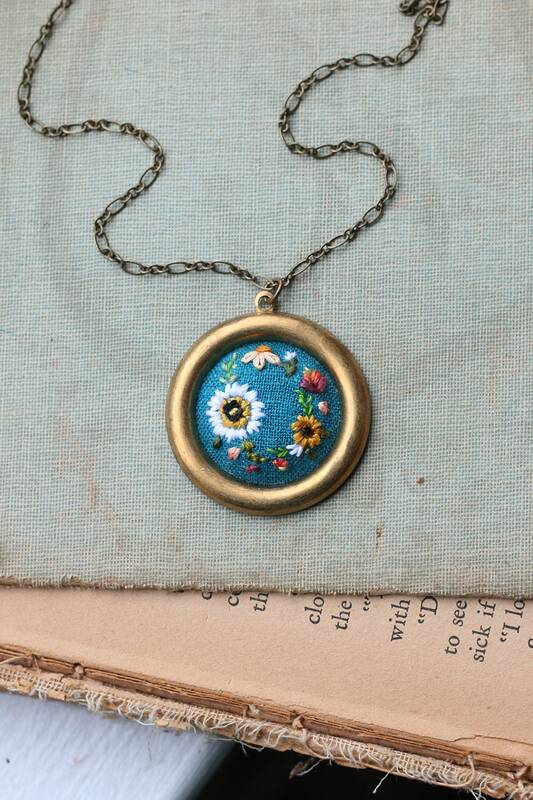 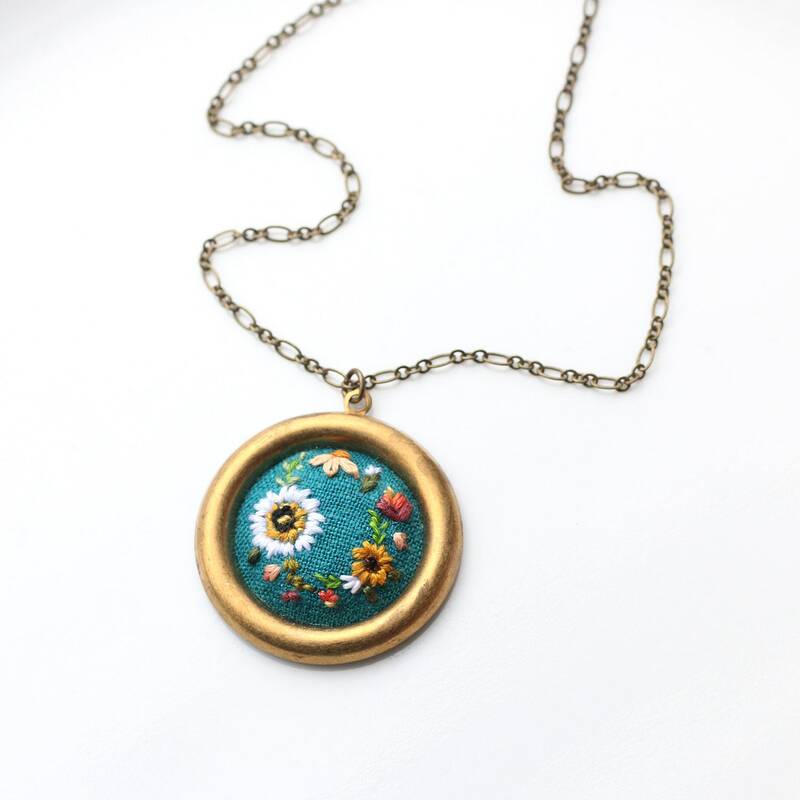 This might be one of my favorites to design, it's my take on a wreath with sunflowers, daisies, and a large white poppy are hand embroidered on a bright teal fabric and hang from an antique plated brass chain. 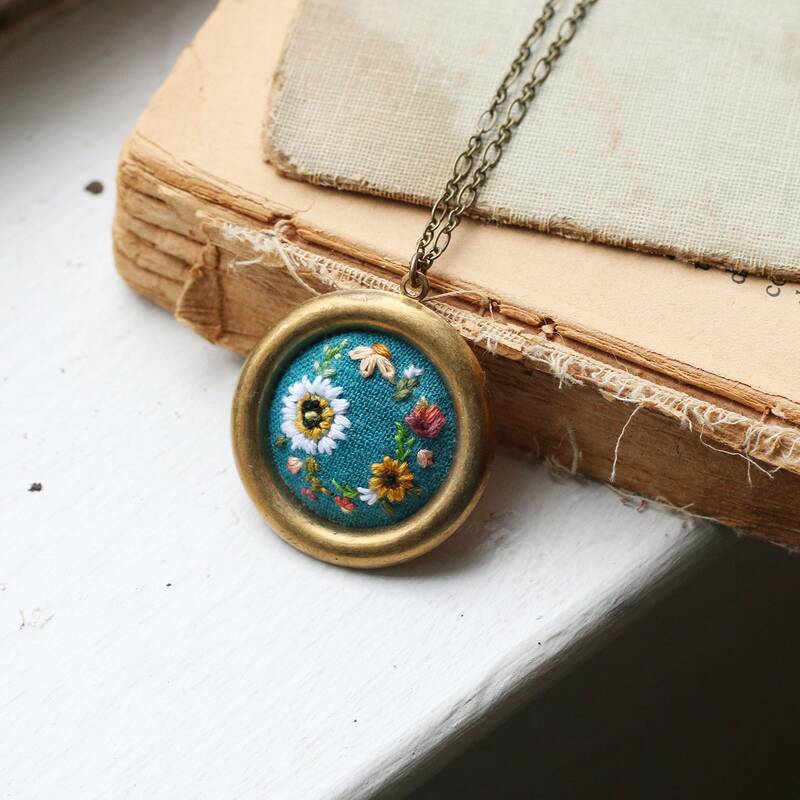 The frame on this piece is vintage raw brass, so each will be a bit different and will patina over time, the backing is raw brass, as well. 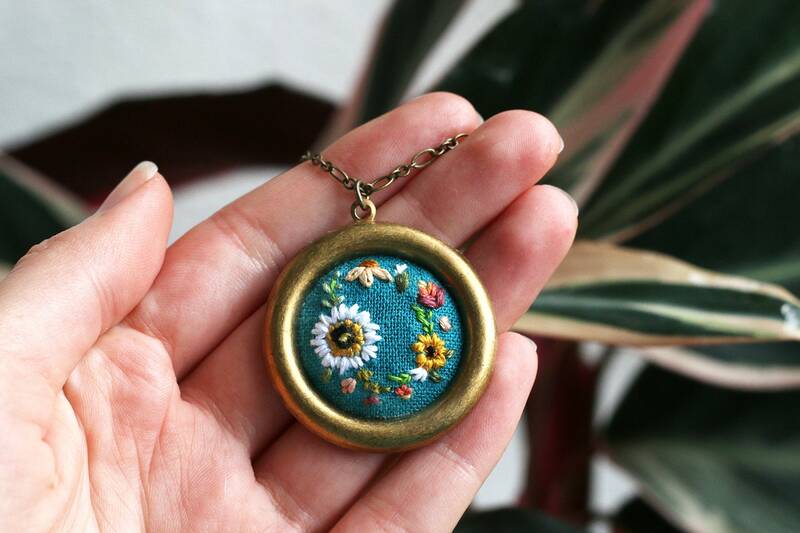 Since these necklaces are hand embroidered, each portrait is one of a kind and might slightly differ from the photographed necklace.